The integration in TFS between Builds and Work Items is just too good. 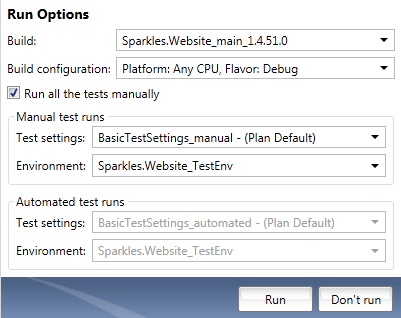 In this blog post I will describe a solution based on a TFS Server Plugin to have more fine-grained control on completed builds. Completed builds may sometimes be more valuable for the development team and only a few of them will eventually be published/deployed for (public) Testing. This means that Testers (in theory) should only be able to log bugs against these particular builds. 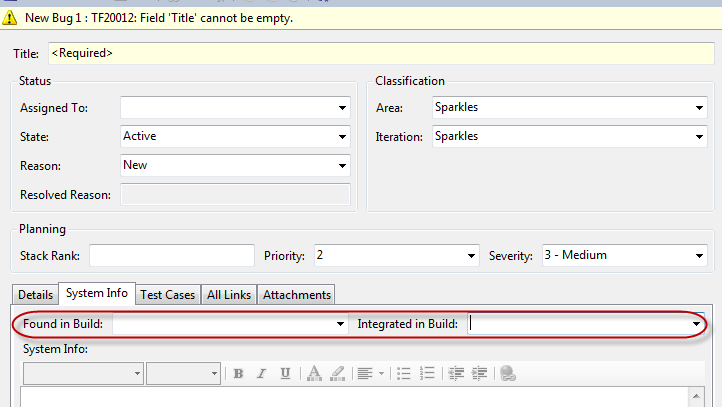 There are two important fields on a bug work item which may point to a build: “Found in Build” and “Integrated in Build”. 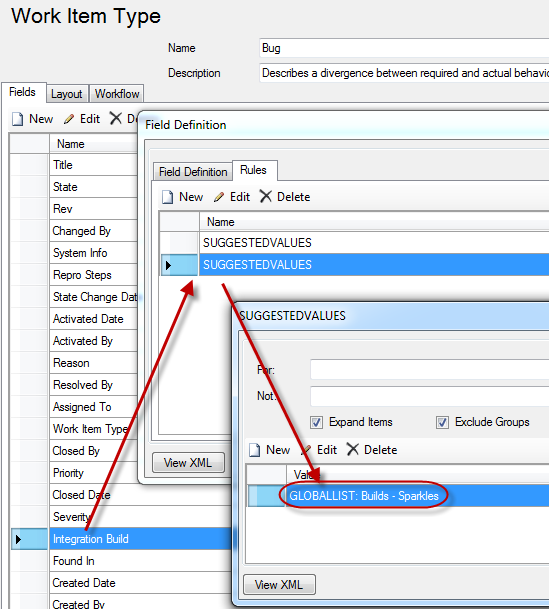 For both fields a value can be selected from a combobox. The values in the combobox are part of the global list for the builds in the active Team Project. By default, ALL finished builds (failed + succeeded) will trigger the BuildCompletion event in the Team Project Collection and the accompanying Build Number will be appended to the existing global list for the builds in the Team Project. In Team Projects where a lot of builds are defined, this “Builds” global list will be flooded by superfluous builds which should never be selected for the above fields. CI builds for example should not be part of this global list. Only full builds which are deliberately transferred for testing should be searchable in the above comboboxes. So, how to explicitly mark a build for “Testing”? This can be easily done with setting a Build Quality for a given build. Note that people who want to modify the Build Quality should have the permission “Edit build quality”. Build Quality values can also be managed in a dedicated list. By using a specific Build Quality value, it’s also possible to create a TFS Server Plugin and to listen to a BuildQualityChangedNotification event and to only add the Build Number to the global list when the Build Quality is set to “Ready for Initial Test”. Of course, the default event-subscription for the BuildCompleted event must be disabled and the existing global list should be cleaned. This is exactly what I did. Only the Build Numbers of the builds that get a desired Build Quality (“Ready For Initial Test”) will be pushed to the global list of the Builds in the Team Project. 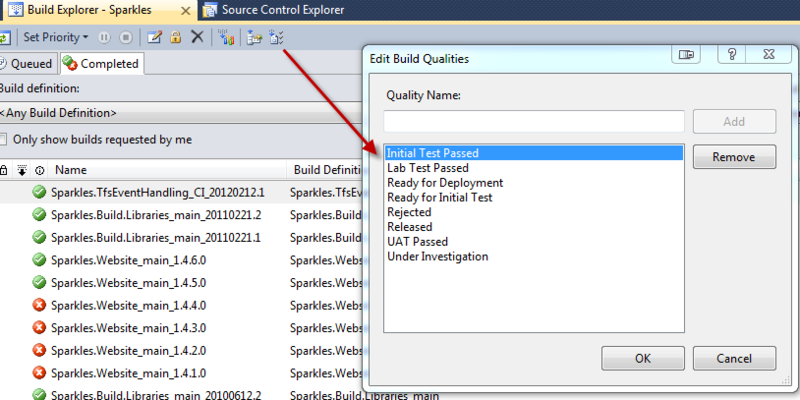 When your team makes fully use of Microsoft Test Manager to file bugs, the “Found in build” field can be automatically set by associating particular builds to a Test Plan. Test execution can then be done against an approved build list. The “Integrated in build” field is normally automatically set by the build process which picks up a bug resolution through a changeset at check-in time. 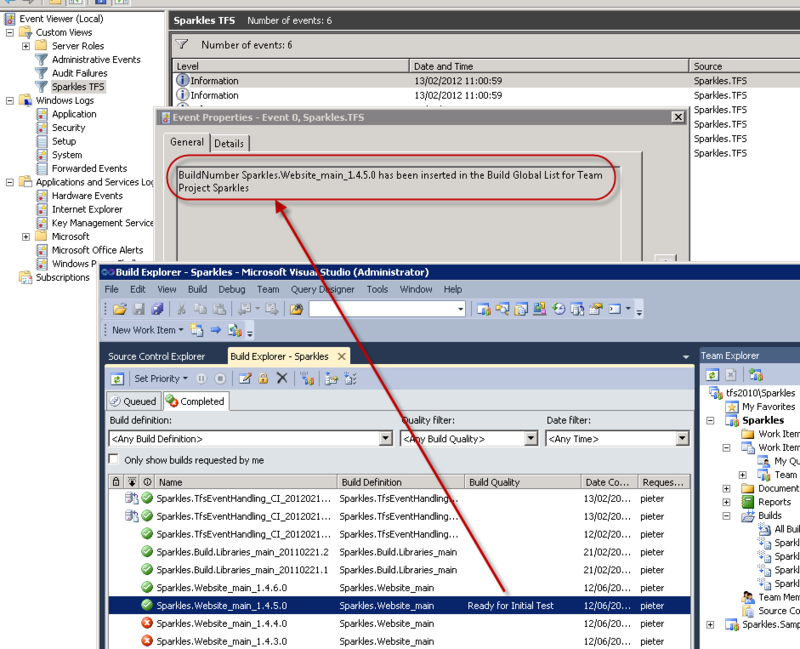 The easiest way is actually to navigate to the event-subscription table via SQL Management Studio (tbl_EventSubscription in specific Team Project Collection database) and to delete the event-subscription row from there. But, that shortcut is not really recommended I’m afraid. A safer solution is to rely on the Bissubscribe command line tool ((executable can be found in :\Program Files\Microsoft Team Foundation Server 2010\Tools). Strange enough, there’s no option to list the existing event-subscriptions, but there certainly is an unsubscribe switch to unsubscribe from an event-subscription. You will need the ID of the event-subscription. The only way to get this ID without having to write custom code on the TFS API is to get the ID from looking into the tbl_EventSubscription table in SQL Management Studio. Note that it’s the Integer ID you will need instead of the GUID Subscriber ID. 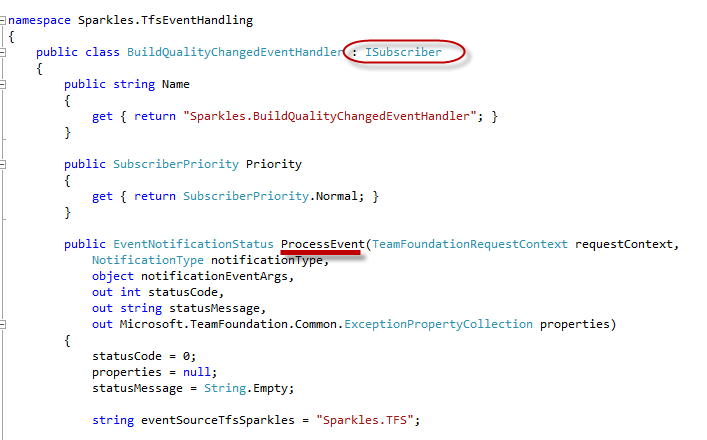 Recreating this default event-subscription is possible through the command BisSubscribe /eventType BuildCompletionEvent /address http://:8080/tfs//WorkItemTracking/v1.0/Integration.asmx /collection http://:8080/tfs/. The global list of a Team Project Collection can be exported/imported with the witadmin command-line options or you can export/import a global list through the UI with the Process Editor from the TFS Power Tools. You will be prompted to store the GlobalList.xml file after which you may edit the list. Delete as many ListItem entries as you want in order to clean up the Build list. 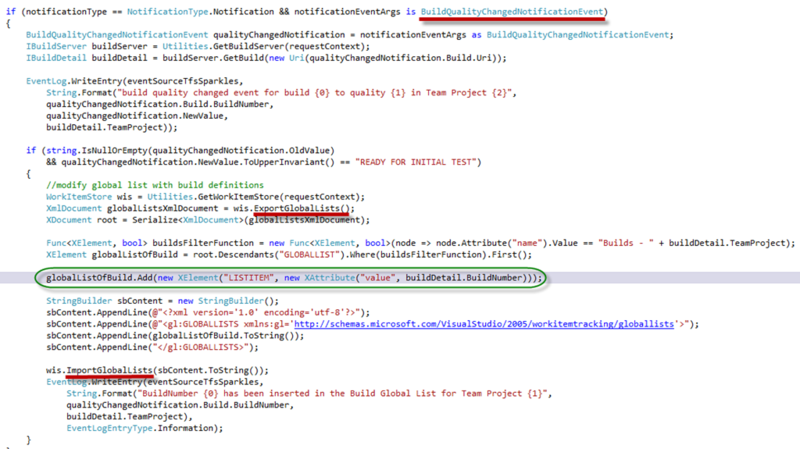 This is the value list that will be used for the “Found in Build” and “Integrated in Build” fields. Import the global list back to TFS via witadmin or the Process Editor. To immediately witness the result, you may need to restart Visual Studio to clear the cache. Since TFS 2010, it has become fairly easy to write custom event handlers that will run in the context of Team Foundation Server. It’s a plugin (dll) that needs to be deployed on the TFS Application Tier. How to accomplish this is not well documented, but your best starting point would be to read Chapter 25 of the book Professional Team Foundation Server 2010. 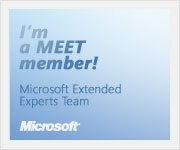 Grant Holliday – one of the authors – explains how the ISubscriber interface can be used for extending Team Foundation Server. For my purpose I implemented the ISubscriber interface in my BuildQualityChangedEventHandler class. The Build Quality I will use in my example is “Ready For Initial Test”. This action should append the Build Number to the Build global list of the Team Project. Next task was to pick up the BuildQualityChangedNotificationEvent and to take action when the Build Quality was set to “Ready For Initial Test”: export global list, append the current Build Number and import the list back to TFS. That’s it, build the assembly and drop it in the plug-in folder on all active TFS Application Tiers. 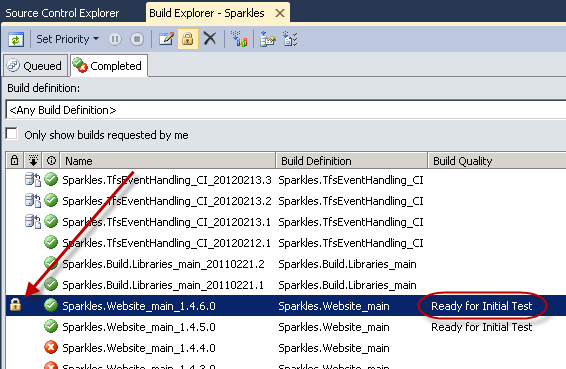 Setting the Build Quality to “Ready For Initial Test” does the trick and adds the Build Number to the Build global list for the appropriate Team Project. As an extra, I also decided to keep the “Ready For Initial Test” builds indefinitely. 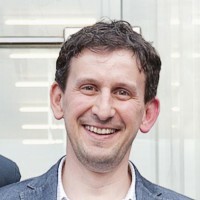 This entry was posted on Sunday, February 12th, 2012 at 10:21 pm and is filed under Team Build. You can follow any responses to this entry through the RSS 2.0 feed. You can leave a response, or trackback from your own site. Looks really cool. Would love to get a copy of the solution file for your ISubscriber so I can start playing with this faster. Hi Allen, will need to find some time to clean up my solution and post it here. Hope you get some time to clean up that solution file. Thx!